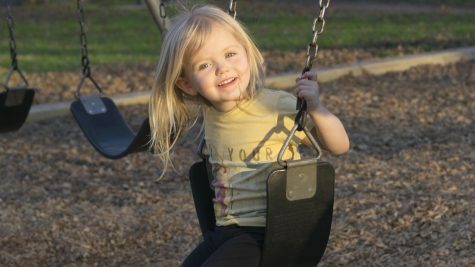 Eliza Lee plays on the swing set at Five Mile, Bidwell Park on Monday while spending time with her grandmother. 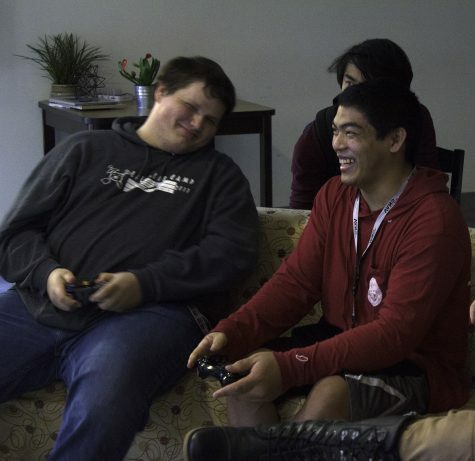 Jeremy Casada, left, and Brandon Uenaka, right, share a humorous moment while playing Super Smash Bros. for Wii U on February 4 at The Hub. 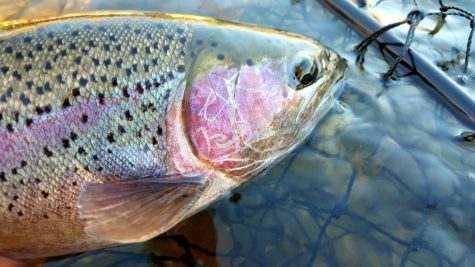 The fishing from the Feather River Hatchery to the HWY 70 bridge in Oroville remains hot with spawning steelhead. 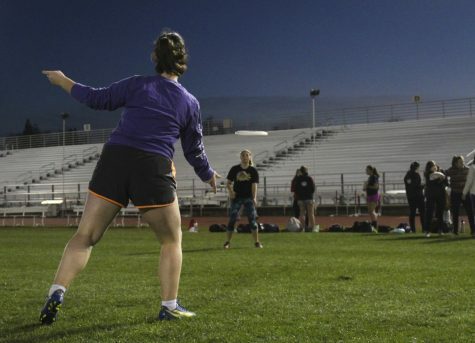 Annabelle Cole, a freshman on Chico's Women's Ultimate team flicking a disc to teammate Rose McDonough before a late-night practice at the University Stadium. 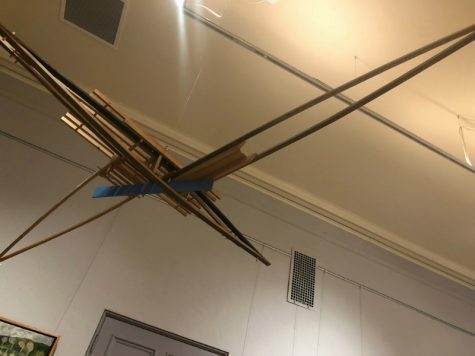 On a cloudy day, a flock of birds seem to fly into a column on the side of Whitney Hall. 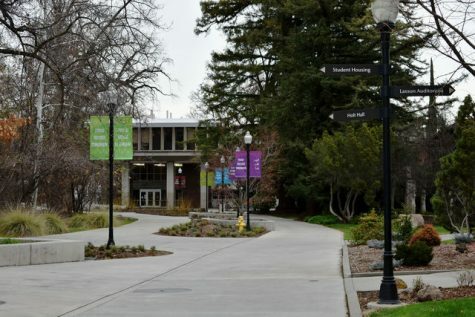 Chico campus is nearly empty on Friday afternoon after the first week of classes.